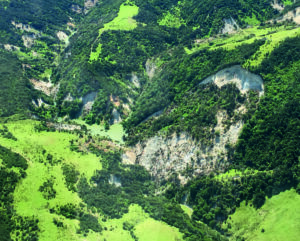 The November 14, 2016, Mw 7.8 Kaikoura earthquake triggered thousands of landslides over a total area of about 10,000 km2, with the majority concentrated in a smaller area of about 3,500 km2 on the north-eastern side of the South Island in the North Canterbury and Marlborough regions. Given the sparsely populated area affected by landslides, only a few homes were impacted and there were no recorded deaths due to landslides. 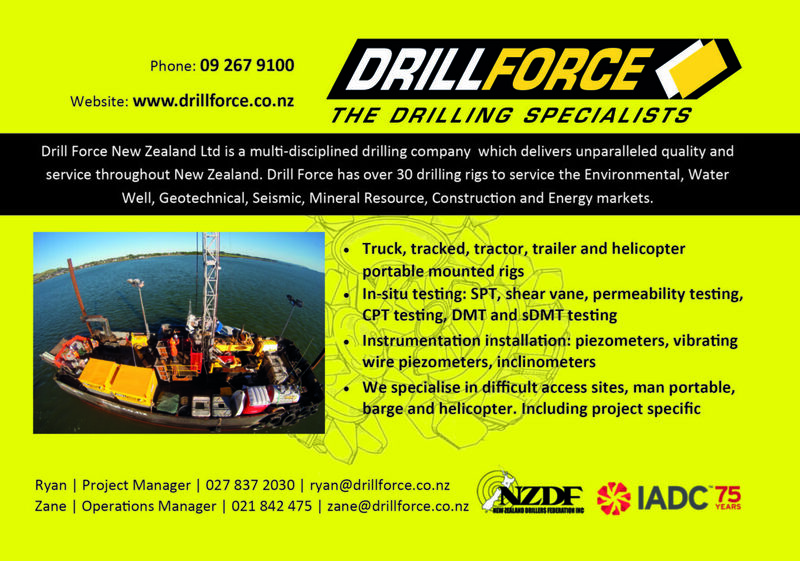 However, a large number of landslides occurred on the steep coastal cliffs south of Ward in Marlborough and extending to the south of Oaro in North Canterbury, leading to the closure of state highway routes, including State Highway 1 and the Main Trunk Rail line. 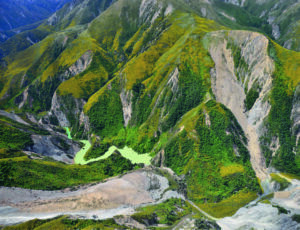 Above: The Hapuku River Landslide dam (Hapuku 740) is the largest landslide dam caused by the 14 November 2014 Kaikoura earthquake. The initial estimates of dam volume are in the range of 12 to 18 million cubic metres of debris. The landslide is a rock avalanche (Hungr et al, 2014) and the distance from the top of the head-scarp to the toe of the debris is 2.7 km. (Photo: GNS Science). The day after the earthquake it was quickly established that there were many landslides and that in some instances these had blocked river and stream courses creating a potential hazard should they fail rapidly, as a large landslide on the Clarence River had done about 16 hours after the earthquake. Rapid failure of landslide dams sends a flood wave down the river, which although expected to attenuate relatively quickly, presents a potential threat to people and assets in their path. A plan to systematically find and assess landslide dams was developed and instigated. Over the following weeks through to mid-December over 200 landslide dams were found, characterised, the potential hazard assessed, and if found to be significant, the potential risks identified. Initially all catchments were searched systematically by helicopter reconnaissance flights and any constrictions located by GPS, photographed and recorded in a GIS with a unique identifier relating to the catchment name and altitude (in m) above sea level. Landslides were triaged daily, with their hazard classified into high, medium, low, unlikely and yet to develop. Where the hazard or risk was assessed as high, either because of a large volume of impounded water, or people or critical assets (e.g. road bridges) in the path of a flood caused by rapid failure of the landslide dam, further work was undertaken. Other dams, assessed as a low or moderate hazard, were dealt with by the generic warnings issued by Environment Canterbury and Marlborough District for all rivers in the affected area but in some cases more specific warnings were issued, for example, for the rising lake levels in the Gelt and Lower Conway – which people were crossing in vehicles below the dams. Initially twelve landslide dams were identified as having the highest hazard. Five of these had identified risks to people or property that required attention. These dams were on the Hapuku (road and rail bridges and some homes in low-lying areas), Linton (bridge over the inland Kaikoura road and a school), Conway (inland Kaikoura road), Goose Bay (up to 20 homes on the alluvial fan at the coast) and the Waima (homes close to river level). These dams were prioritised for more detailed investigation. This included measuring the key parameters of the landslide dams using a terrestrial laser scanner and RTK GPS unit (height, width, cross-section shape, area, and volume) and using this data to model potential rapid failure scenarios using RAMMS© software. A challenge with this work was balancing the demand from authorities managing the earthquake response for rapid provision of information to help them identify and mitigate hazards versus the need to collect accurate, measurable data which takes time. 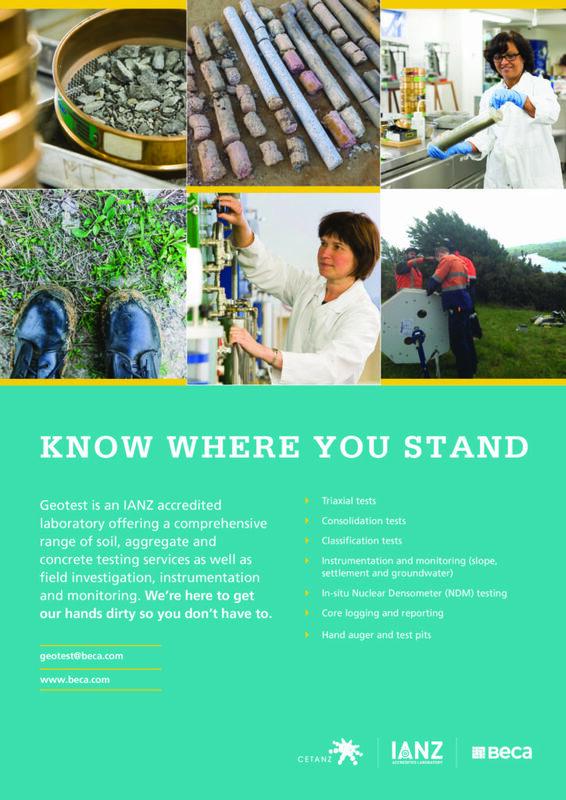 This was highlighted by substantial changes in the modelling outputs in one case where the key parameters estimated by experienced geotechnical professionals were found to have been over-estimated by 50% when subsequently measured using survey equipment. The initial modelling results using the estimated parameters were highly conservative and in hindsight overstated the potential hazard (and risks). There is a trade-off between accuracy (when the dam failed the modelling results based on the measured data were shown to have been accurate) and urgency (basing model outputs on estimated parameters carries risks of over-estimating the hazard and risks). Another aspect to consider is the source material of the dam. The majority of landslides occurred in two geological and geotechnically distinct materials: Paleogene-Neogene sedimentary rocks (sandstones, limestones and siltstones) where first-time and reactivated rock-slides were the dominant landslide type, and the Paleozoic-Mesozoic basement rocks (greywacke sandstones and argillite) where first-time rock and debris avalanches dominated. The weaker rocks tended to be finer-grained and produced less permeable dams relative to the stronger rocks (greywacke) which essentially produced large piles of highly permeable angular gravels. The ‘gravel’ dams did not overtop under dry conditions but in all cases piping through the dam could be observed. 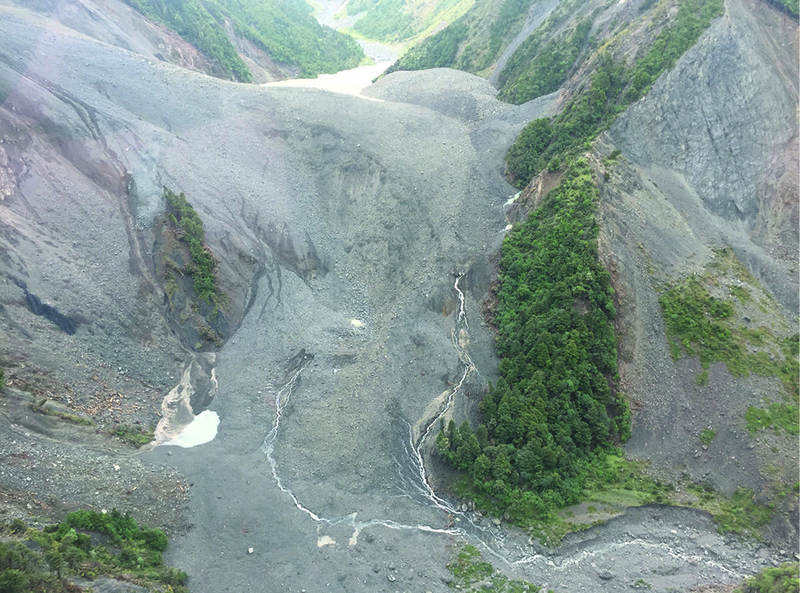 Several of the landslide dams breached in early April 2017 when rainfall associated with ex-tropical Cyclone Debbie hit the Kaikoura region, leading to overtopping and breaching of the dams under flood conditions. 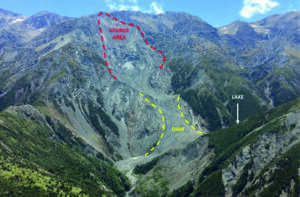 The process of finding and assessing landslide dams developed as part of the Kaikoura earthquake response provides an opportunity to further develop and refine the process and methodologies for future earthquakes, particularly an Alpine Fault event where there will be many landslide dams. A particularly useful step to avoid miscommunication of hazards was the adoption of unique identifiers for each dam, using catchment name and approximate altitude, and not changing these ‘standards’ between organisations. Above: A change model derived from terrestrial laser scans taken on 15 December 2016 and 28 March 2017. The image shows areas of settlement and erosion (cool colours) and sites of deposition (warm colours) as measured normal to the slope. The settlement near the dam crest is in the order of one metre. The other feature of note is the seepage outlets in the face of the dam. (Image: G Archibald, GNS Science; 9-04-2017). Above: The Hapuku River landslide dam taken 5 December 2016. Seepage is beginning to develop from the face of the dam and side streams are forming ponds on the debris. This photo predates the initial scan in the change image above by 10 days. (Photo: B Lyndsell, GNS Science; 5-12-2016). Above: The Hapuku River landslide dam taken 7 April 2017, two days after rainfall from ex-Tropical Cyclone Debbie dumped heavy rainfall on the Kaikouras. Lake level monitoring installed by NZTA showed the dam was overtopped for the first time and the shallow breach channel (1.5 to 2 metres deep) is visible. This photo postdates the second scan image in the change model above by 10 days. A further scan is being taken to capture the change shown in this photo. (Photo: D. Townsend, GNS Science; 7-04-2017). Above: There were several landslide dams on the Conway River. 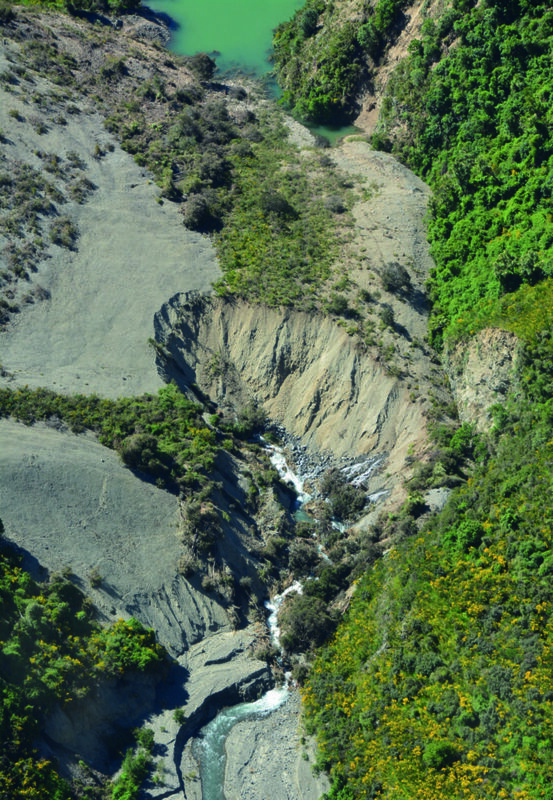 This landslide dam was the largest and posed the greatest risk being only five kilometres upstream of the Conway River bridge on the inland Kaikoura Road. This photo shows the largely unmodified landslide dam and growing lake two days after the earthquake. (Photo: D. Townsend, GNS Science; 16-11-2016). Above: By the 22 November 2016 piping through the coarse gravels forming the dam had seen headward erosion from the downstream toe. Although it developed quickly and looked spectacular it stabilised in this state for several months. (Photo: Jon Mitchell, Joint Centre for Disaster research; 22-11-2016). Above: On 5 April 2017 ex-Tropical Cyclone Debbie delivered heavy rainfall over the Kaikoura District. As a result, several dams overtopped/appear to have overtopped (we only have unequivocal data for one dam overtopping, the rest are based on circumstantial evidence) and in most cases breached sending a flood wave down the river. We know this happened to landslide dams on the Conway River (photo) Linton Creek and Ote Makura Stream. (Photo: D. Townsend, GNS Science; 7-04-2017). 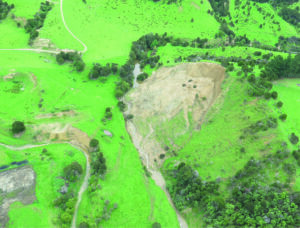 Above: A small landslide on the Dog Stream (Dog 200) impounding a small volume of water. 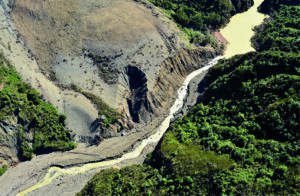 The relatively small volume of impounded water meant this landslide dam received a low hazard rating because a breach event was going to be confined to the active flood channel. (Photo: S. Cox, GNS Science; 18-11-2016). 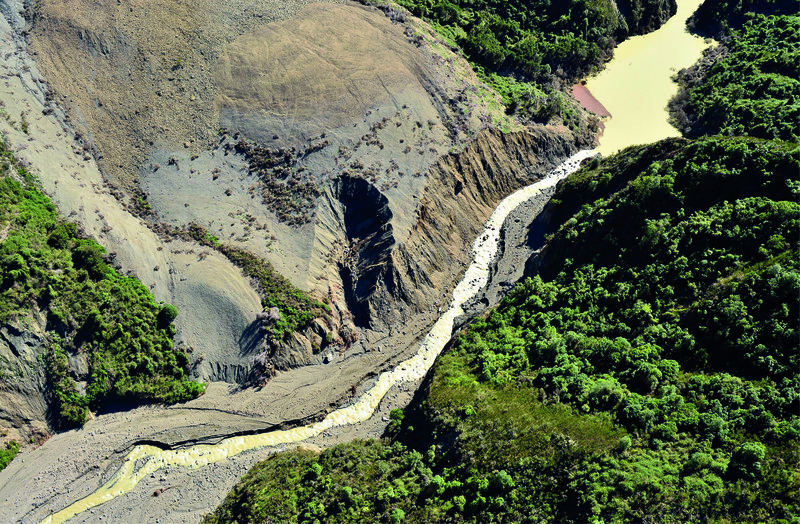 Below: A landslide on the Leader River (Leader Left Tributary 260) impounding a small volume of water. 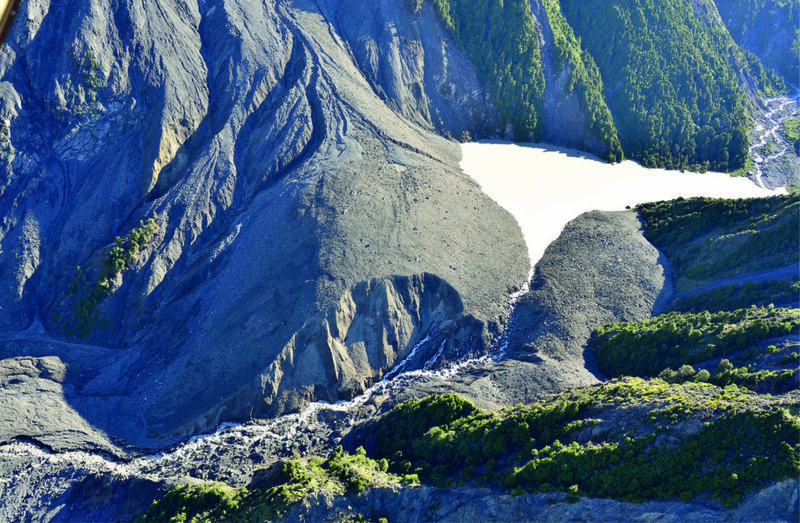 The relatively large size of the landslide compared to the small volume of impounded water meant this landslide dam received a low hazard rating. Again, a breach event was assessed as likely to be confined to the existing flood channel. (Photo: B. Lyndsell, GNS Science; 28-11-2016). Hungr, O., Leroueil, S., Picarelli, L., 2014. The Varnes classification of landslide types, an update. Review article. Landslides. April 2014. Volume 11. Issue 2, pp 167-194.